In 'Bastards Of The Reagan Era' A Poet Says His Generation Was 'Just Lost' After being convicted of carjacking as a teenager, Reginald Dwayne Betts spent eight years in an adult prison. Since his release, he has become a poet and a Yale law student. 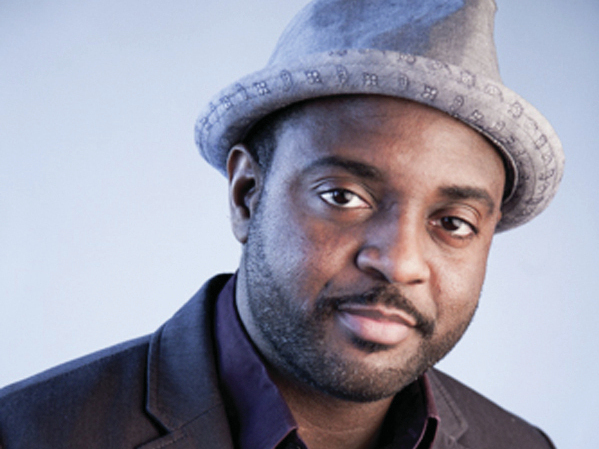 Reginald Dwayne Betts serves as a national spokesman for the Campaign for Youth Justice. He is also the author of A Question of Freedom and Shahid Reads His Own Palm. In 1996, Reginald Dwayne Betts — a 16-year-old honor student with braces — used a pistol to carjack a man who had been sleeping in his vehicle. Shortly thereafter, he was caught, sentenced as an adult and sent to an adult prison, where he served more than eight years, including one year in solitary at a supermax facility. "I was 5 feet, 5 inches and 120 pounds. I went to prison with grown men, and I went into what people readily acknowledge as a treacherous and a wild place," Betts tells Fresh Air's Terry Gross. "My judge, when he sentenced me, he said, 'I am under no illusion that sending you to prison will help, but you could get something out of it if you choose to.' "
As it turns out, the time he spent behind bars helped shape Betts' future as a poet. He had always loved to read, but in prison, books — and writing — became a mental escape. One day, when he was in solitary confinement, a fellow prisoner slipped an anthology called The Black Poets under his cell door. "That's the book that changed my life," Betts says. "It introduced me to Etheridge Knight, to Rob Hayden, Lucille Clifton, Sonia Sanchez and so many countless black writers and black poets that really shaped who it is that I wanted to be in the world." Betts completed his GED while in prison. After his release in 2005, he continued his education and is now a law student at Yale University. He is also a poet and author. His most recent book is a collection of poems called Bastards of the Reagan Era. 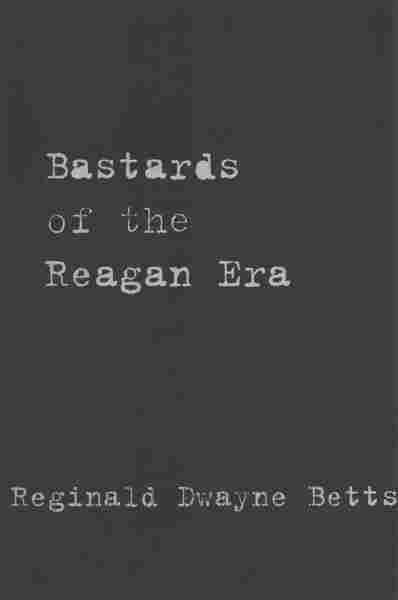 Betts says the name of the book holds double meaning: "First is that it's this idea of being fatherless, but the other idea is ... this notion that whole sort of generation of young people were bastards of an era, of the Reagan era. I think about my own life, I think about the life of people that's close to me, and I just recognize that we were ... we were just lost — lost in time, we were lost in space, and we were struggling to find, I think, a sense of who we were." On the significance of the "Reagan era"
I was born in 1980 and, I think, the "war on drugs" had a huge impact on my childhood, the policies around the Reagan era, around mandatory minimum sentences made huge changes in the community — and also our response to people who were struggling with addiction. I took my son to a museum in Chicago and we were watching a short clip about woolly mammoths, and something I saw really struck me as profound: If you see a site of trauma, a site of huge tragedy, a mudslide or something ... you'll see the children in the middle of a circle and all of the mothers around those children. And so when I think about the bastards of the Reagan era, when I think about what didn't happen for us, I think we were essentially abandoned by society in large ways, and you can't look at our lives and see that circle of love and care and nurturing around us. I think people know, really, they know if they have any intention of shooting somebody. And the gun I had was on safety, and I didn't even know how to operate the gun. And so I think that at least in my situation, I knew that I wasn't going to shoot him. And I think that if he would've not open the door or ran, I would've probably been standing in the parking lot looking like a fool. But that doesn't negate the fear that he had, and that doesn't negate the sort of lack of empathy that I showed in that moment. So if the question is 'What could lead me to that?' I think it's that sometimes you get into a place where you don't realize that your decisions have real ramifications in the present, and real ramifications for the future. Because honestly, if we had this conversation now, [there's] no way that I could imagine doing that. But I was 16, and I just did not think in the same way that I think as an adult. And because it was in the realm of possibilities that could happen ... I was presented with the opportunity and I didn't have the wherewithal or the courage or the common sense to turn away. If somebody would've told me — 'Listen, if you talk to the police this day you will likely end up going to prison, you're 16 years old, you're 125 pounds, you'll end up spending over a year in solitary confinement, you'll end up spending time in some of the worst prisons in Virginia' — if somebody would've told me that that was what I was looking up against, then I probably wouldn't have said anything. Before I got incarcerated I read for pleasure and I read because it was a duty, I just loved books. When I got locked up, I think, books became magic. Books weren't really magic when I was a child, they were just something that I [enjoyed] reading. I thought it was important, but when I got locked up it became magic, it became a means to an end. ... It became the way in which I experienced the world, but more importantly, I think, it became the way in which I learned about what it means to be human, and to be flawed and to want things that you can't have. The story about solitary confinement, I think, really is the way that I became a poet and a way that I broadened my horizons intellectually and I sort of diversified my reading. Because in solitary confinement you couldn't have books and you couldn't request books and you couldn't go to the library, but people would somehow find ways to get books into their cells. So it would be this rotating cycle of books that existed in solitary confinement. Somebody would leave a hole [and] they would leave four books in the cell with them, so I would go into a cell and find [four] books. ... One afternoon I asked for a book and said, 'Can somebody send me a book?' and somebody slid a book under my cell door, to this day I have no idea who sent it to me, but it was an anthology by Dudley Randall, it was called The Black Poets and that's the book that changed my life. When Howard [University] rejected me, when I was rejected for jobs, when I have to fill out applications for apartments and they ask if I've been convicted of a felony, when my friends don't get apartments because of their records ... until law school, I never thought that you could do something about that. And so I decided to work on the civil side of things and I plan on doing employment discrimination work. I plan on representing people in pardons. I plan on representing people on parole. ... I feel like doing that work is the kind of thing I could do and feel good about.